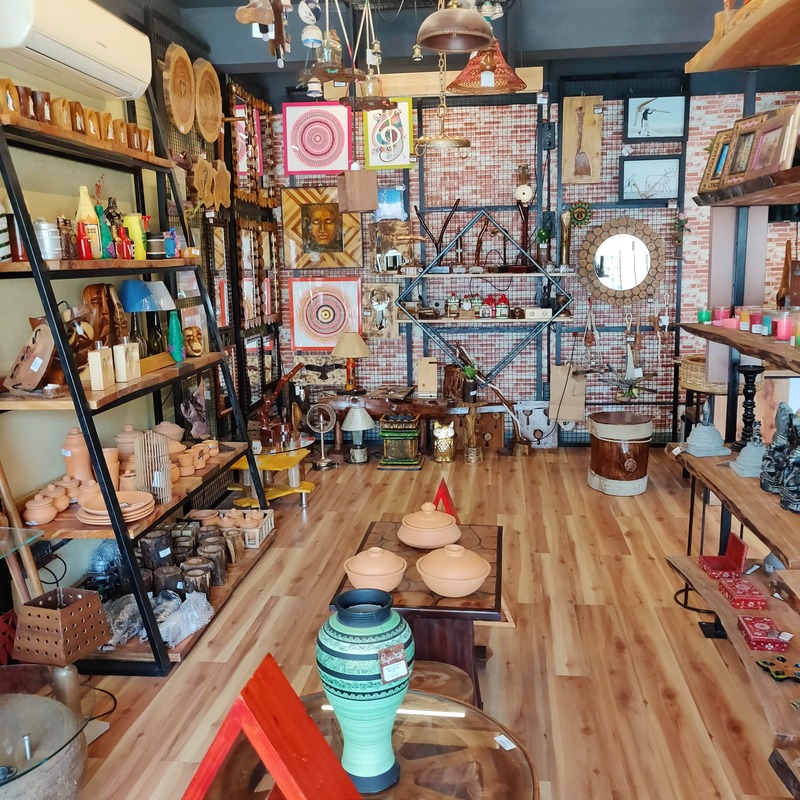 Thoughts & Crafts in Nelson Manickam Road has all kinds of vintage home decor right from wooden and metal night lights to terracotta utensils. If you’re bored of the same old scented candles and potpourri, head to Thoughts & Crafts in Aminjikarai (sounds far, yeah? It’s really not!). This compact store holds home decor like you’ve never seen before. We were intrigued by their collection of lamps and lights - they come in weird shapes and are made of metal and wood. They don’t occupy lots of space, so it’s good if you want to fit in many things in a small space. We like the grey metal night lamp with blue light. They’ve got cane and jute lamps as well, and these are priced from INR 1,200. We found handpainted bottles for home decor priced from INR 300. These are sourced from a Chennai-based artist and can be customised. The wooden test tube flower vase is great for gifting, both affordable and quirky. It’s perfect to keep some indoor flowers and plants and is priced at INR 650. Wooden artefacts are plenty at this store, if that’s your thing, hoard up! We like their vintage terracotta utensils, these are multi purpose and can be used for cooking too. There are handpainted diya holders, wooden mobile holders (with two small spaces for speakers, too! ), photo frame mirrors (where you can insert pictures in the mirror), ceramic cutlery, and planters.